Here is a recipe that was almost too pretty to eat! 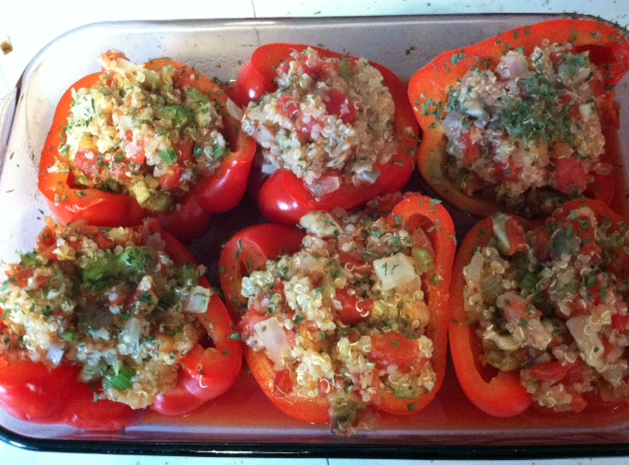 Beautiful, colorful Red Peppers stuffed with this strange little grain called Quinoa. 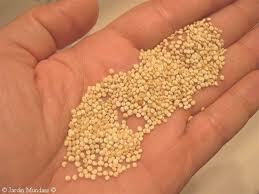 I had prepared quinoa a couple of times in the past for specific recipes, but hadn’t given much thought to it’s nutritional content. 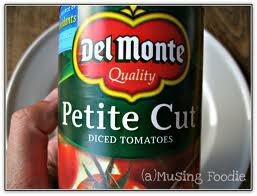 Turns out, 2013 has brought some fame to this little known food. The Food and Agricultural Organization of the United Nations (FAO) has officially declared that the year 2013 be recognized as “The International Year of the Quinoa.” Proposed by the government of Bolivia and receiving strong support from many Central and South American countries, quinoa has now been singled out by the FAO as a food with “high nutritive value,” impressive biodiversity, and an important role to play in the achievement of food security worldwide. 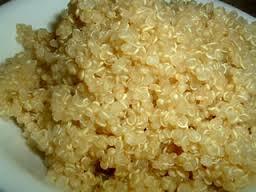 We realize that quinoa remains unfamiliar to many people, especially in the practical sense of cooking and recipes. 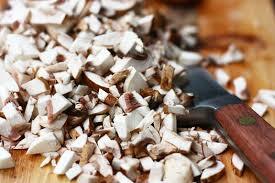 But we hope that situation will change, given the remarkable nature of this easily-prepared, nutrient-rich food. Preparing Quinoa is just like cooking rice, and can even be made in your rice cooker, although it is very easily prepared in about 15-20 minutes on your stovetop. Just follow the easy directions on the package. First, preheat oven to 325 degrees. 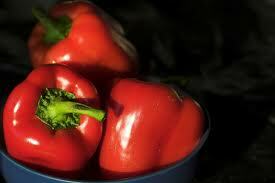 Cut peppers in half vertically and remove inner membrane and seeds. Steam until soft but do not over cook. Remove and drain. Place in baking dish that has been sprayed with Pam. Set aside. Cook Quinoa as directed on the package. Set aside. 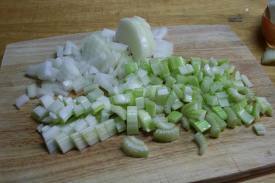 Saute diced onions, celery, garlic in a large non stick skillet (or use a little olive oil if you like) for about 5 minutes. Add chopped mushrooms to the skillet and saute about 3-4 additional minutes or until onion, celery, garlic and mushrooms are all soft. Add drained tomatoes, salsa, prepared quinoa, then add chili powder, salt and pepper to taste. Using an ice cream scoop, fill each red pepper half with mixture. Put remaining onion mixture around the red pepper halves. Pour reserved tomato juice all over the peppers and the filling. Top with a little pinch of dried parsley for some good color. Bake for approximately 25 minutes or until hot. Serve with a nice garden salad. This is a very pretty, colorful summer dish! This recipe is Gluten, Dairy & Meat Free. Very healthy for you, and is approved by my friend Flo! Enjoy eating healthy this summer! Preheat oven to 325 degrees. Cut peppers in half vertically and remove inner membrane and seeds. Steam until soft but do not over cook. Remove and drain. Place in baking dish that has been sprayed with Pam. Set aside. 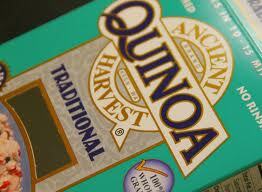 Cook Quinoa as directed on the package. Set aside. Saute diced onions, celery, garlic & mushrooms in a large non stick skillet (or use a little olive oil if you like) until soft. Add drained tomatoes, salsa, prepared quinoa, then add chili powder, salt and pepper to taste. Using an ice cream scoop, fill each red pepper half with mixture. Put remaining onion mixture around the red pepper halves. Pour reserved tomato juice all over the peppers and the filling. Bake for approximately 25 minutes or until hot. Serve with a nice garden salad. This is a very pretty, colorful summer dish! This recipe is Gluten, Dairy & Meat Free. Very healthy for you, and is approved by my friend Flo!